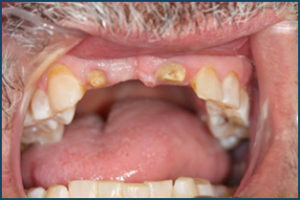 The images below show three teeth replaced on two implants. 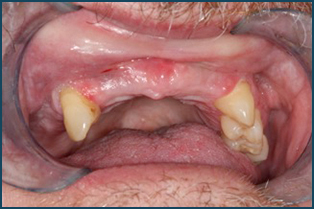 For these three teeth, we used a fixed implant supported bridge, with the crowns fused. 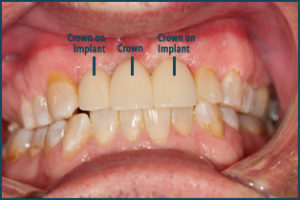 The images below show four teeth replaced on two implants. 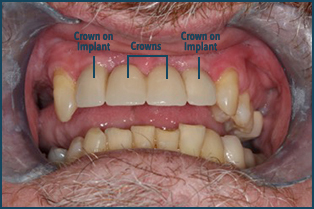 For these three teeth, we used a fixed implant supported bridge, with the crowns fused. 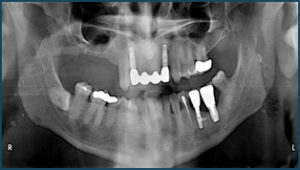 See photo of x-ray for clarification.